1. Go to the Home screen and touch Apps to get started. 2. Touch to select Internet from the available applications. Or if you prefer to use Chrome browser, touch Chrome instead. 3. Under Internet/Chrome browser app screen, touch Menu to proceed. 6. Enter or type in your personal information. 7. To save your recently added personal information, touch Save. 1. Touch Apps to begin with. 2. Touch Chrome to load Chrome browser/app on your phone. 4. Continue by touching Settings. 6. Touch to select Add credit card from the available options. 7. 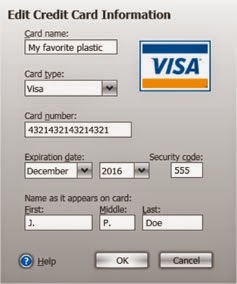 Type in or enter your credit card information. 8. Touch Save to complete the process. Now open a browser on your phone and attempt to autofill forms. Just touch Apps->Internet or Apps->Chrome. Once the browser is up, visit or navigate to a website wherein you can sign in to like Gmail or Yahoomail. Enter your log in details. Confirm autofill request, log out or sign out from your account. And finally, log or sign back in using autofill. In case you will encounter problems like if autofill information won't load, try clearing app data on your Samsung Galaxy S5 browser. Clearing app data has been known to resolve device issues including those associated with the mobile browser.